You can make Product links live from your Product and Store. In your dashboard, scroll down to Product and Store section. In Filter Links, select Inactive links. It will show you a list of inactive links. 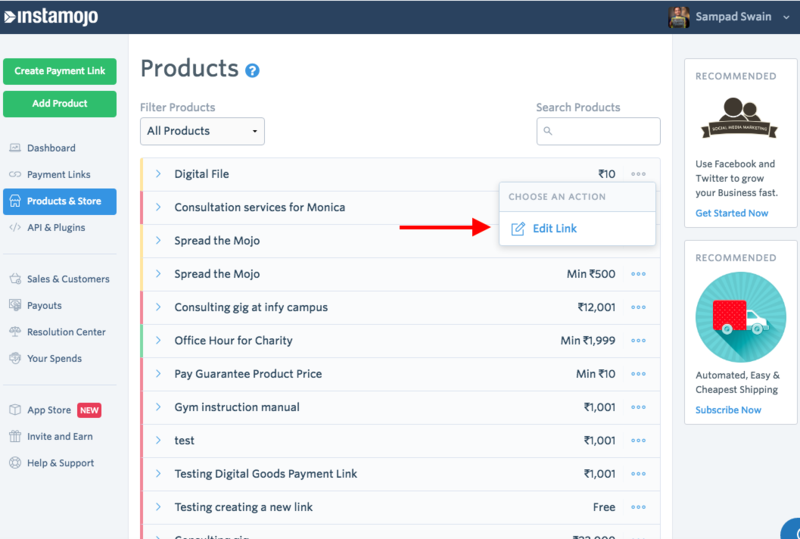 Select the link you want to make live again, click on the three dots and click on make active.